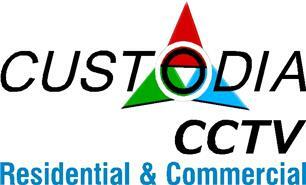 Custodia CCTV is a family run company based in North Kent which has been serving the Kent, Essex, Surrey & London post codes for over 6 years now. Year on year we have been steadily growing our customer base and we are now proud to state that we now have over 850 fully maintained sites within the "Residential & Commercial Sectors". The aim to achieve the full concealment of all cables, to give the appearance of a fully wireless system. Endeavouring to leave no mess behind & full disposal of mess created during our installations. Fully explaining our proposed works to be undertaken & listening to any special requirements highlighted by the customer. Full system training & on-going support given upon works completion. If you would like to arrange a free & non-obligational site visit for any new, upgrade or repair works, please do not hesitate to get in touch.